The Philadelphia Eagles improved to 4-2 as they defeated the Washington Redskins 27-17. But don’t pay much attention to the score, because the game was not that competitive. Very few players from both sides showed up on Monday night. This division is viewed as one of the most competitive ones in the league. This was also supposed to be a game for the ages, with two rivals looking to get their season back on track. Well, outside of two key plays made by Eagles wide receiver Desean Jackson, this game was one of the more boring Monday night matchups of the year. The game started with an electrifying end-around reverse to Jackson, which he took 67 yards for a touchdown. 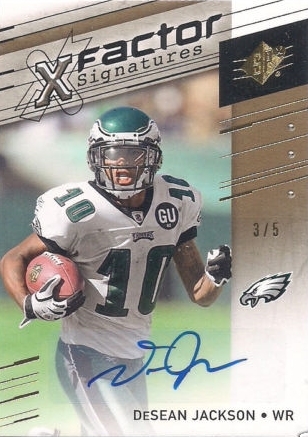 The only other explosive play in the game was when Jackson ran a perfect double-move that fooled two defensive backs, and quarterback Donovan McNabb found him deep for a 57-yard touchdown. Outside of these two plays, the rest of the game was dominated by the defenses. The Eagles’ defense was fortunate enough to capitalize on four Redskins’ turnovers, scoring a touchdown on one of them. Even after the Eagles recorded six sacks, one interception, and forced three fumbles, their win margin was only 10 points. McNabb has obviously struggled to get back to Pro Bowl form since returning from his rib injury, and it’s transparent on the field. The problems with the Redskins’ offense were expected because we’ve seen how bad its gotten ever since Joe Gibbs retired. In any event, the Eagles boast one of the top offenses in the league every year. I believe that if it weren’t for those two amazing plays by Jackson, this game could have easily had a different outcome (just like the game in Oakland). The Redskins offense proved once again to be the reason that the team can no longer compete in the division. Even after stripping head coach Jim Zorn of his play-calling duties, the Redskins offense remained stagnant. Hopefully, they realize now that play-calling isn’t the main issue with their team, and players are actually going to have to make some plays in order to be successful. Simply evaluating everyone out there, from the dumbfounded looks on quarterback Jason Campbell’s face to the temper-tantrums thrown by running back Clinton Portis on the sidelines, this team is in disarray, and needs a serious reorganization ASAP. Someone needs to inform owner Dan Snyder that he is not George Steinbrenner, and he does not own the New York Yankees. He also needs to know that this is not the MLB. You can’t just throw $100 million at a guy and expect your team to automatically elevate its level of play, especially if the guy only plays half of the defensive snaps! Enough about that horrid Monday night game: let’s look ahead to what many are calling the drama of the year. If you haven’t heard, Brett Favre is returning to Lambeau Field! The only difference is that he will be there for the first time as a visitor. He is returning to face the youngster that ousted him from his beloved city of Green Bay. As if the timing couldn’t be any worse for Favre, the city of Green Bay just named a street after quarterback Aaron Rodgers. Favre will have to be able to control his emotions and focus on the game of football if he is going to be successful in his return home. Besides all the hype surrounding Favre and Rodgers, there is still a football game that needs to be played. The Minnesota Vikings already defeated the Packers once in week four. 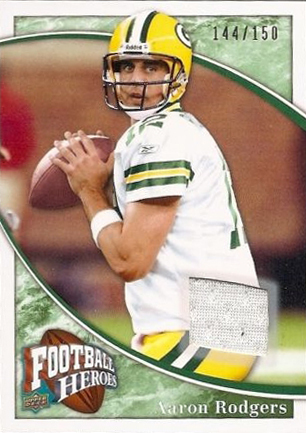 That game featured Favre nearly playing a perfect game, finishing with 271 yards and three touchdown passes. Rodgers, on the other hand, had a decent game statistically but a horrible game overall. He was responsible for two turnovers and was sacked eight times. If the Packers want any chance at beating one of the best defenses in the NFL, then it must start with the offensive line learning how to pass protect. On paper, the Vikings have a better offense, defense, and special teams. This does not bode well for the Packers, who need to win this game in order to stay competitive within the division. The Packers have a decent chance to win this game because it’s at home. They brought the Vikings out of the dome and into the snow. We all know Favre is used to cold weather games (especially big ones), but what about the rest of his teammates? This game will be decided by the team that makes the fewest mistakes, and unlike Favre’s situation, Rodgers has to carry the weight of the team on his back. We’ll see how he performs in the biggest game of his short career this Sunday. Just read about your green bay match up.You are right again for green bay have to protect their Q/B. The vikings are tired after playing two physical teams, the pittsburg and the ravens. This year,any teams that play the steelers are 1-5 in the following week.Therefore, the greenbay packers wins this game easily. Premier QBs are extremely difficult to come by in this league. Rodgers said he was good as gone if they let Favre come back. His contract was going to be up soon and he wasn’t going to wait around another year or two. It wasn’t a matter of if Favre could play anymore – it was a choice of 2 years of quality QB play vs 15 years of it, and TT made the absolute correct choice. The Favre supporters don’t see it now because Favre is playing still, but in 5 years when Rodgers is winning MVPs and Favre is gone, they’ll be thanking TT for making the right choice in 2008. Green bay packers have to learn how to protect their q/b.You thought they learn in their first game.